This is the dress I wanted to make in October, I had it cut out (mostly) but didn't get to it at all. 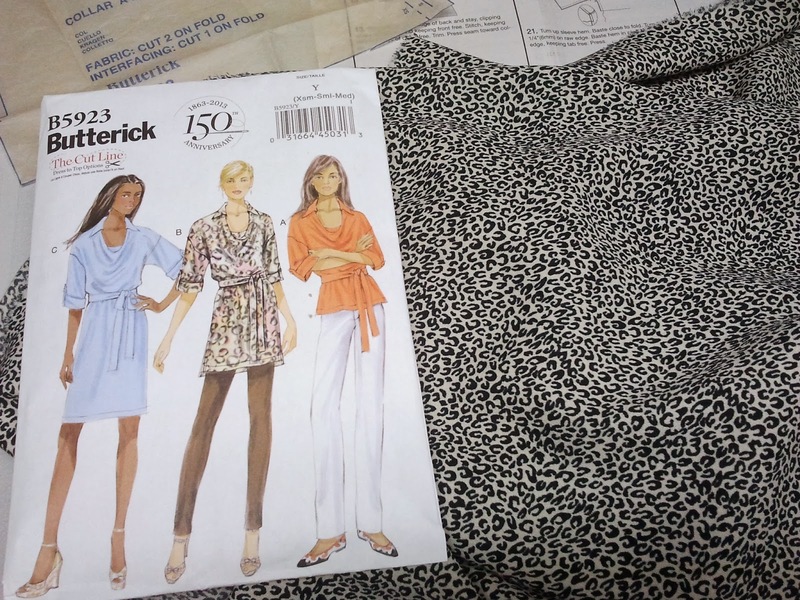 I need to recut the collar which I messed up the first time by not paying attention to the orientation of the pattern piece, and then get this one sewn! 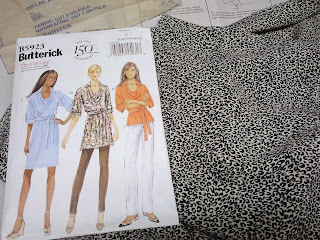 I really love the fabric and hope it will turn out properly. This looks like a nice, simple dress with the kind of clean lines that make a really fun print stand out. 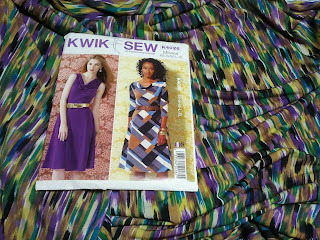 I've had my eye on this fabric for a while, and then it went on sale last week -- a sign! Because my first choice is already cut out, this will be my official do-it-all-in-November selection. I'm planning on making View B, with the sleeve. Hoping to get these both done before the rush begins to finish all the Christmas sewing! Yes, we all have these grand ideas that we can make lots in a day :) I think a month is a more realistic time frame. 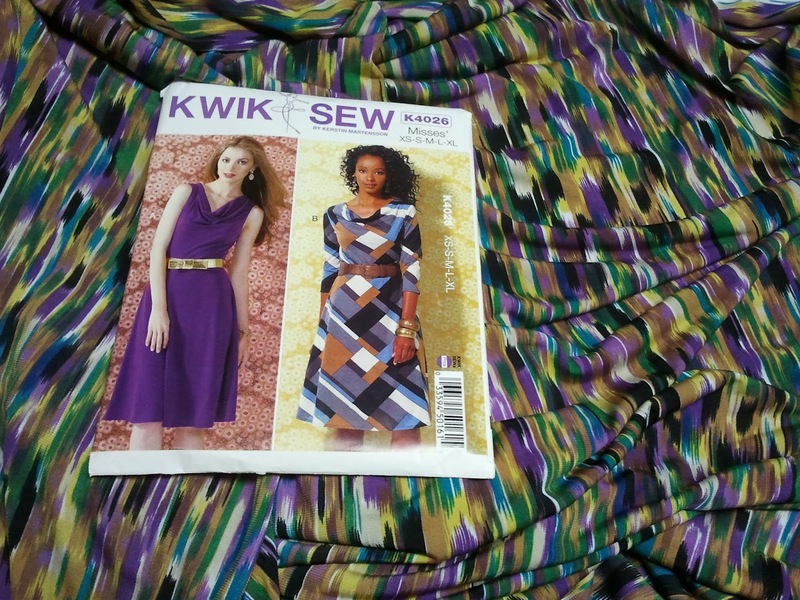 These are both lovely dresses and lovely fabrics, so I hope they do turn out well for you as well.